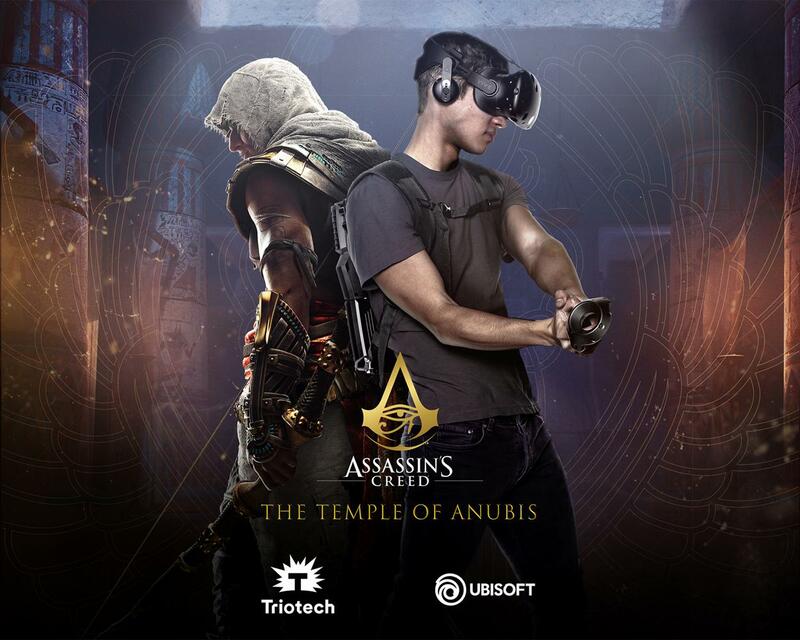 Media-based attraction developer Triotech has partnered with Ubisoft to create "Assassin's Creed: The Temple of Anubis", a new free-roaming virtual-reality experience, developed exclusively for Triotech's VR Maze attraction. The eagerly awaited attraction, which was announced at last year's IAAPA attractions expo in Orlando, is based on the action-adventure video game franchise Assassin's Creed. The experience, which is set in Ancient Egypt, allows guests to step into the shoes of series hero Bayek. Players, as Bayek, explore mysterious temples, dodge arrows, walk on wooden planks and experience the iconic leap of faith made famous in the franchise. As the attraction is set inside a maze, players are able to physically touch the walls and obstacles that appear in the VR. "We are really excited to partner with Ubisoft on the well-known franchise Assassin's Creed. Already more than 100,000 people have experienced our VR Maze all over the world, and this next chapter will definitely widen its appeal," said Triotech founder and CEO Ernest Yale. Deborah Papiernik, senior VP of New Business at Ubisoft, said: "We're continuing our expansion into other areas of entertainment, leveraging our popular game brands such as Assassin's Creed to create new experiences for fans and to capture the imagination of new audiences."